Sagittarians can bring good luck when it comes to money. Jupiter and Pluto combine to create an ample force. 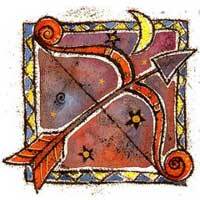 Sagittarius influences aspects related to money, personal property, and income potential. Alongside Sagittarius, the only flaw would be an idealizing vision of people and situations. In other words, you tend to fool yourselves, and spend more than you produce. If however you are aware of this, this relationship can be profitable. Because of Sagittarius, you will improve various techniques of creating intrigue, or the simulation of a romantic illusion. 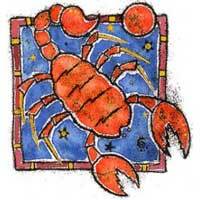 Sagittarius is expansive, philosophical, expressive and likes traveling, while Scorpios are very secretive. The tie with a Sagittarius is beneficial. Foreseeable new horizons appear, and you find a way to channel these intense feelings. Sometimes Sagittarians are chased away by your possessiveness and irritability. Knowing these things, the relationship is improving; always try to be in a pleasant mood. Sagittarius is a fire sign, while your element is water, and problems arise because these two elements do not combine. You have a lot to work for this relationship to succeed, but it is worth it.